Promo models were a tangible way to show off new vehicle styles and colors to prospective buyers. Even more important, they often went to the kids who visited the dealerships with their parents, and they helped build brand-loyalty and excitement in young minds. Since the first Corvette was sold in 1953, Chevrolet offered these models to showcase America’s fiberglass sports car. Lots of other cars have been rendered as promos over the years, but only Corvettes have been built continuously from the beginning, all the way to the present. Hundreds of different Corvettes have been represented—everything from coupes to convertibles, special editions to pace cars. And some of them are among the most sought-after, most valuable scale vehicles in the world. 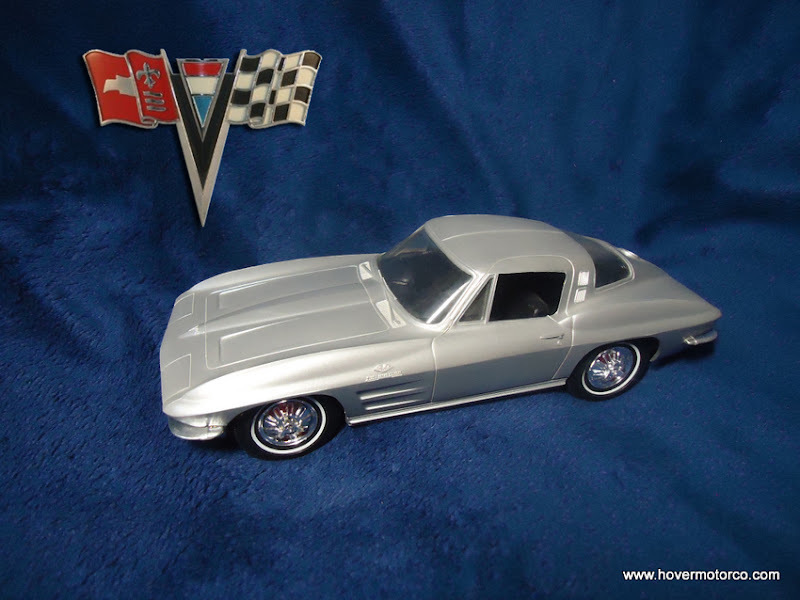 Corvette models often mimic real Corvettes as far as value. “Midyear” models tend to bring the most, “straight axle” cars are usually pretty high on the totem pole, and anything from the late ‘60s/early ‘70s brings a premium. Cars from the 1980s are usually not as valuable, but new models are fairly expensive from the factory. I have put together a slideshow of some Corvette promotional models that I think are pretty interesting. 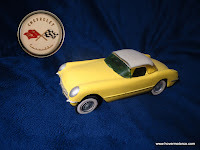 When you look through the pictures, remember that these model cars almost all were produced the same year as the real car. 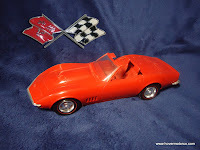 So for example, when you see the 1958 Corvette model, that model was actually built and sold in 1958. 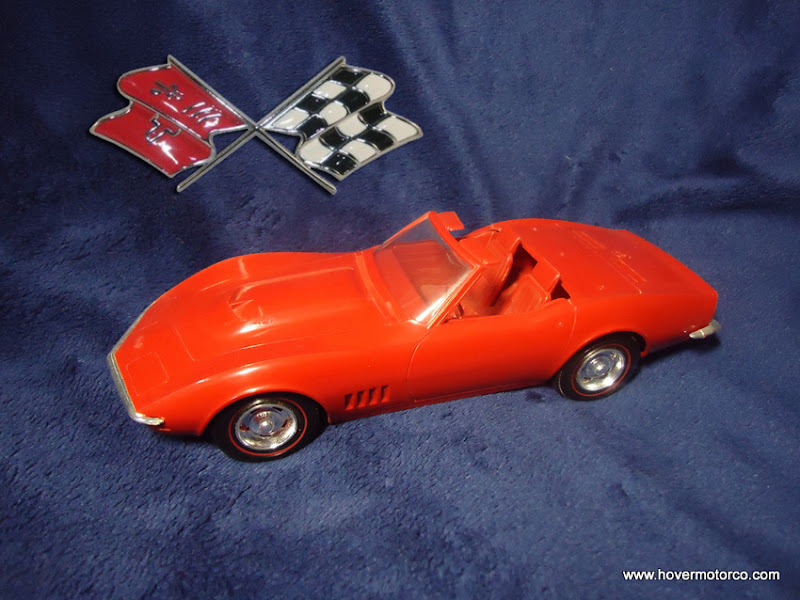 Corvette models are fairly easy to find on eBay, on the Internet, and in guidebooks, so it should be possible to valuate the one in your collection. They were built by the thousands, so check that attic, garage sale, or swap meet. There are still treasures out there waiting to be discovered. GREAT! Love dealr promos - thank you for posting. The continuity of the Corvette promo story is amazing. They're still being produced in 2014, in the tried and true plastic and in the time-honored scale of 1/25. One of the favorites in my own collection is a slightly damaged but very displayable Daytona Blue '63 Sting Ray coupe, a surprisingly affordable recent acquisition. I enjoy your promo coverage. More, please.